Mr and Mrs Globe Trot: Mr & Mrs Globetrot on Flickr! 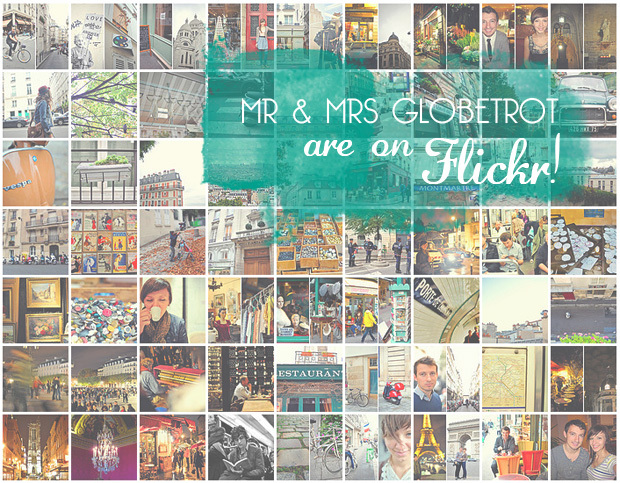 Mr & Mrs Globetrot on Flickr! We finally did it! I've spent the last couple weeks uploading all of our travel photos into a shiny new Flickr account. 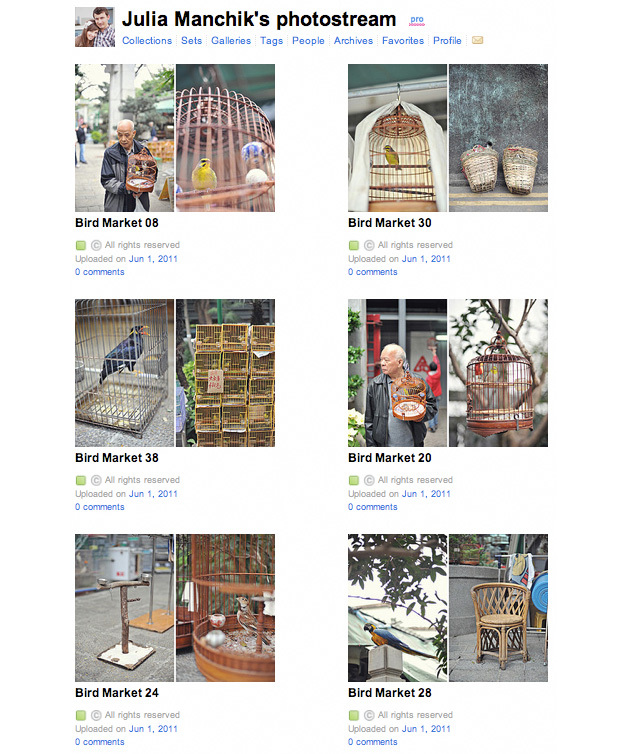 We've heard some really great stories of how the travel photos on our blog are being used. One student used them in a school project about Hungary.... one girl asked to use our travel photos in a church children's program... and recently we found out a school teacher has been pulling up Mr & Mrs Globetrot blog in class on a regular basis and teaching her students about places around the world. Incredible! Our opportunity to travel for 6 months was a blessing from God, not something we earned. We are so happy that other people find our photos and experiences useful and inspirational. We have thousands of photos from around the world that could be used in so many ways, and instead of letting them collect computer dust, we wanted an easy way to share them with the world. Flickr seemed like the right answer. All of our photos are now organized in easy-to-locate folders labeled by country, city, and event chronologically. As we keep blogging our trip, we will continue to upload all photos to our Flickr account. Feel free to use our photos for any personal projects (and please give us credit for photos). Do you have a Flickr account? What is your favorite thing about it? Find us on Flickr so we can be friends! Cool! I look forward to seeing more of your photos on flickr. I just added you as a contact. (I'm "wolfcreeker") I like to use flickr for quick reference to my own photos. I can quickly pull up a set to look for a particular shot or I can search all of my tags for, let's say, spring flowers. As a small-time graphic artist, I sometimes get to hunt down cool photos for posters and such. Flickr is a great resource for that. When I find something I like, I contact the photographer and most of the time they are more than happy to let me use their photo as long as I give credit. how awesome to know that your photos and experiences traveling have helped to teach so many young people things about the world in which they live. Again you two do not seize to amaze. I have a flickr account too (http://tinyurl.com/3mskc3m) and what I love about it is the easy way to upload pictures and classify them in different albums. I'm doing a 365 project too and I think it was the best place to put my photos (rather than on my blog). Wow - I'm definitely printing a few and framing. You are so generous! I've so enjoyed your photos! yay flickr love!! SUCH great news that youre there. the best thing about flickr is my daily dose of contacts' uploads, and sharing expertise and style. there are so many great influences on flickr. Great idea! And I love the ways people have been using your photos... and the teacher pulling up your blog? Too cool! I don't have a Flickr, but I've been considering it for a while now. On a break between classes and what do I do? Peruse Mr&Mrs Globe Trot of course! The flickr looks fantastic - wonderful job you two. I found out yesterday that I'll be headed to South Korea at the end of August for a year, so maybe I'll get up the courage to start a blog of my own like I have always wanted, but I don't know. You guys make it look so easy! p.s. I just recently left a comment on one post about a pair of your super fancy sneakers, Julia. Please let me know when you know if ya don't mind. Thanks for the good blogging you two! Hooray! We're excited to have some new Flickr friends. Kelly J. R.- I didn't realize it would be a great resource for myself, but I totally see what you mean! Sometimes I need a photo of something for a project and I don't know where to hunt on my desktop. I'm excited to put more of my photos up. Malinda Kay Nichols- i always feel like I have a hard time putting things into words, so thank you! Carrie- It's very time-consuming so I only recommend for people to blog if they are going on an extended trip. If it's a month-long trip, I suggest you leave the blogging for when you're home. I'd love to see photos from S. Korea. Thanks again for letting me use your photos for my project! ooh, so exciting! going to check out your flickr right now. xo!